In the fall of 2017, the business I had founded just 3 years earlier was at a major crossroads. While SingleOps had found initial success across a variety of mobile service industries -- from landscaping, to construction, to HVAC -- it was becoming very clear that building a successful and truly impactful business across all of mobile services would be difficult. Maybe impossible. I turned to our customer base in search of a new north star, the type of customer where SingleOps could create unique, extraordinary value, and truly make an impact on that customer’s business. We found that north star by looking back at our first 3 customers, each now a very successful green industry business (due in large part to SingleOps). The green industry includes landscaping, tree care, lawn care, sod farms and landscape supply. We understood the challenges of these businesses better than any others because we had lived and breathed them for years, working out of their offices to get the first versions of SingleOps in the hands of their teams. Despite raking in close to $200 billion in annual revenue, the green industry has been relatively neglected by software companies, especially of late. Legacy offerings are expensive, outdated, and typically installable software that simply doesn’t work on mobile devices. Worst of all, overhead and back-office processes often lead green industry businesses to hit growth ceilings due to their often slim margins (4% net profit is the industry average). So, I felt there was an opportunity for SingleOps to create a lot of value in this space, and in early 2018, removed all other customer verticals to focus exclusively on the green industry. Our product development team started diving deep with our existing green industry customers, as we shifted our entire roadmap to focus on them. 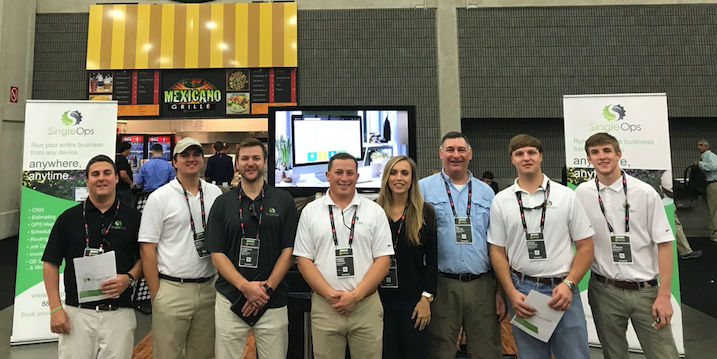 And our sales team began working the green industry exclusively, as we attended nearly every green industry trade show last fall. I’m not sure my team will ever forgive me for some of the AirBnBs we stayed in. We may upgrade to hotels this year… maybe. The results speak for themselves. In the past twelve months, SingleOps has grown recurring subscription revenue by 136% while more than doubling the customer base. We’ve achieved that growth while delighting customers (5 stars / “Excellent” on TrustPilot), and attracting top-performers from the world of SaaS, like our new chief marketing officer (we have open roles across the business - apply here). We have a long way to go to achieve our biggest goals, but the past year has proven what we’re capable of. I find myself continuously inspired by the people SingleOps has brought me into contact with. One of my favorite success stories, which happens to be local to Atlanta, is Josh Marotta, founder and CEO of Atlanta Arbor. Josh and his team have grown Atlanta Arbor by 100% every year since he started the company in 2015. SingleOps has helped them keep pace with their growth while streamlining their data and increasing customer satisfaction (full story here). In just four years, Atlanta Arbor has become one of the most successful and well-respected tree care companies in Atlanta. Hearing about this success makes me feel proud of what our team has created. I know we have laid the groundwork for so many of our customers to reach their full potential, but I know our work here is far from done. Today, I’m proud to announce we have closed a $1.6 million series A financing, led by David Cummings, founder of Atlanta Ventures, with participation from all of our existing investors. I want to thank all of our investors from this round and our previous seed round for their help as we seek to provide a better service to our customers. I want to thank our customers for seeing the benefits in our product and believing it can change their business. And last but not least, I want to thank the SingleOps team for working tirelessly to help us deliver more value to customers. This funding will help us accelerate product development and sales within tree care, landscaping, and landscape supply. We know that many (probably most) businesses in this space still haven’t heard of SingleOps, and given what we’ve done for our customers so far, that just doesn’t seem right, does it? Our team in the fall of last year, staffed up to support hundreds of green industry businesses! 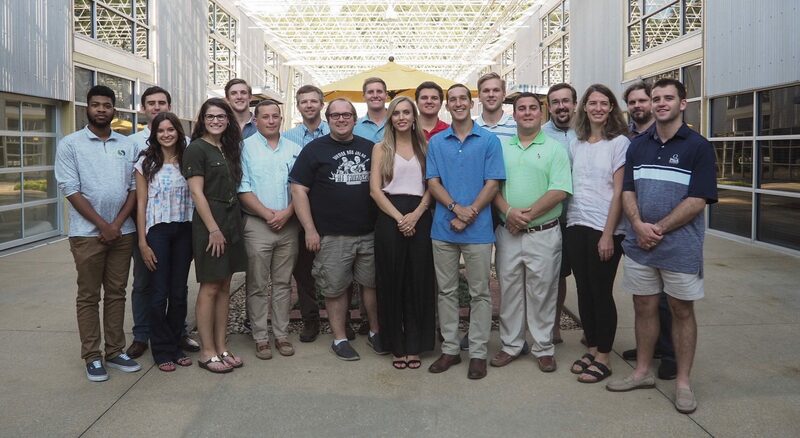 ATLANTA, April 4, 2019 - SingleOps, the leading all-in-one business management software for outdoor service industries, today announced a $1.6 million series A financing led by David Cummings, founder of Atlanta Ventures, with participation from all existing investors. Cummings also led the company’s previous financing, a $1 million seed round, in May of 2017. SingleOps is the leading all-in-one business management software for outdoor service industries, including tree care, lawn care, full-service landscaping, sod farms and landscape supply. The company serves hundreds of clients who have collectively processed over $1 billion in revenue through SingleOps, and use it daily to operate their businesses and interact with clients. SingleOps is headquartered in Atlanta, GA. For more information, please visit singleops.com.